Citations are online listings on third-party websites that show your practice information. Housed on well-established platforms (Yelp, for example), citations help boost credibility in Google’s eyes. They increase the search engine’s confidence by verifying your practice information and service categorization. These listings are part of a geo-specific community, which is why they can improve your local search engine rankings. This means that when a prospective patient searches for a chiropractor in their area, there’s a better chance they will find you. The trinity of information known as NAP (Name, Address, and Phone Number) is the most important factor in ensuring an adequate listing. While it may sound simple enough, it’s critical to have an accurate listing of your practice name, address, and phone number. 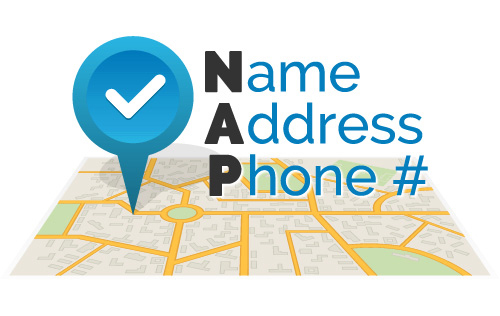 NAP schema markup acts as a digital “business card,” as it tells search engines the official location and contact information for your office. In essence, it validates your chiropractic practice in the eyes of these online platforms so they can display your information accurately in local search results. At Perfect Patients, we not only take care of all your listings for you, we ensure they are consistent across all citation websites. 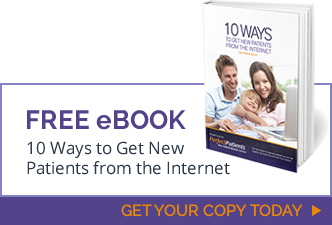 This feature helps you leverage location-based platforms to bring new patients through your office doors. Review our plan table to see which of our three service plans will help match your new patient goals. No problem! Our NAP change service helps you keep all your citations current. Updating your NAP across all of your listings is a big, but necessary, undertaking to ensure the search engines continue to display your practice information in search results and that new patients can locate your practice without confusion. Call us today to order a NAP change.